The Fiesta store on Studewood is closing. I’m only writing about it, because it is causing a stir in the neighborhood. We don’t like change, we don’t like big, we don’t like Weingarten Realty; everyone knows they are bad (didn’t they cause turmoil with the River Oaks Theatre? ), and also they are big. Two no-no’s. IThe Fiesta is going to be replaced with an old-folks home. Most likely old people from “outside the Heights” no less. Add them to the list of no-no’s above. This all just seems strange. Box those old people up in a 4 story building. I hadn’t been in that Fiesta store in years. I went there recently looking for tamarind beans (for a margarita recipe I tried in Mexico a few months ago). When you want strange food items or cheap shrimp, that is the place to go. It wasn’t as bad as I remembered. The indoor flea market was gone; there weren’t crowds pushing and shoving at the entry (near the flea market stalls) and there weren’t the clouds of fruit flies to swat. I did get a white scrape on my black car though. I had forgotten the horrors of the parking lot. Anyway, I went there, got my stuff and left. I don’t know why this store seems so beloved by people now. I remember the Heights people complaining so much about the little HEB store on 11th that it closed down. It didn’t have enough variety, not enough international foods, no latte, whatever. Maybe that’s our new hobby…bitching. But, I guess that’s what I’m doing…bitching about people bitching. I think I will have a tamarindo margarita and contemplate that. Before I do so, here are a couple of links about it where you can get the real info. The Leader (I like the new format of The Leader by the way)has a story on it. 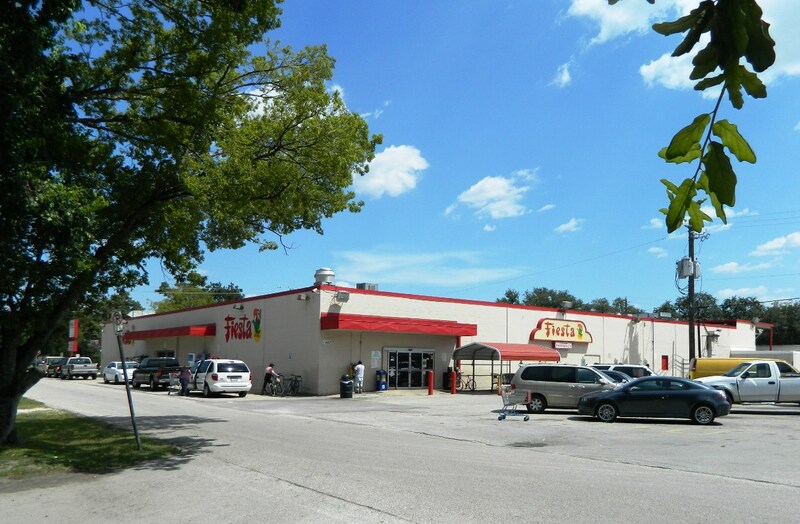 The Leader story describes the the sale of the 2.09 acre Fiesta site to Bridgewood Properties of Houston. Jim Gray, president of Bridgewood Properties says describes the future building as… “a four-story structure with independent living on the top floor, two middle floors of assisted living, and a bottom floor with memory care and amenities for all residents…” It will be Craftsman style, in keeping with the neighborhood. I don’t think I’ve see a 4-story Craftsman building, but I guess we will. Now, back to real estate. If the 2.09 acres site sold for the asking price of $3.28M, that would be ~$36/SF. Reasonable, actually. That’s all, It’s too early for that margarita, so it’s back to work. I have some land on Byrne St to sell, so I’ll start calling builders.